A group from the childcare sector are clashing with the Government over equivalents to GCSEs for early years qualifications. On Tuesday, the group requested that reasonable equivalents be accepted instead of GCSE grade for those taking Level 3 in childcare. 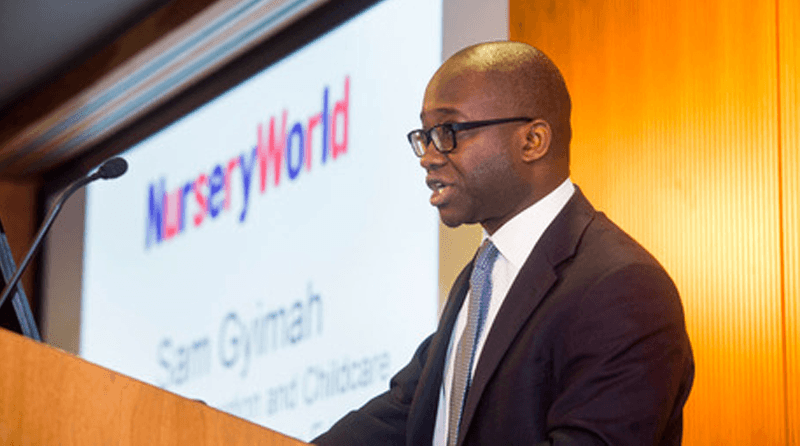 Nursery World held a business summit where Sam Gyimah, the childcare minister, said he had no plans to change the requirements any further. They will continue to be A-C grades in maths and English for those wishing to take Level 3. The minister claimed that the GCSE requirements were in line with what employers want from candidates. This is in spite of the childcare sector facing a shortage of Level 3 staff, as Allan Presland discussed in his blog this month. Training companies are reporting huge drops in the number of learners taking the qualification and CACHE has reported that the number of registrations it has received for its Level 3 courses has dropped by 44% compared to 2013-14. The issue was confused further when it was noted that many students were admitted onto courses at university with GCSE equivalents, but were not allowed to count in ratios at the end of their course. The government changed the rules following this, on the basis that standards on numeracy and literature were covered by separate tests. This has not, however, been filtered through to early years degrees or apprenticeships. I employed a 17 year old – a few months before her 18th Birthday – Level 3 Trainee 10.5 years ago, who had completed her L2 at a different setting. She had NO GCSE qualifications, as she found school life very difficult to cope with. However, I quickly realised that, not only was she a sympathetic and enthusiastic carer who the children and parents loved, but that she was, in fact, highly intelligent with phenomenal memory skills – she can still recall every detail about any child, or staff member, that she worked with 10 years ago. This eventually led to her completing a full 3 year degree at Kingston (Surrey) University in Children’s Education and Special Educational Needs, which she was accepted for less than 3 years after gaining her L3. She then followed this up the following year by attaining her EYP status. This practitioner has since been employed as the Nursery Manager / EYP / senior SENCo at my 2nd setting, since we opened it over 4 years ago – and her skills are highly regarded by our local Early Years dept. SHE STILL DOES NOT HAVE A GCSE IN EITHER ENGLISH OR MATHS TO HER NAME! What does that tell us about this ‘requirement’ Sam Gyimah – and any others who believe that those who do not hold the required GCSE’s are not suitable, capable, or intelligent enough, of becoming excellent childcarers? (P.S. – Approximately 18 years ago I employed another 17 year old person as a Level 3 trainee who also did not have the required GCSE’s – and who, approximately 6 years after she left my employ, also became a very effective Nursery Manager!